Filters are certainly very useful pieces of technology when it comes to astronomy. Although they may seem like a low technology piece of equipment, once you start looking deeper, you realize that they’re far more complicated than you might think. It might be best to start by looking at the different types of filters that we have on the market at our disposal. There are two major different types of filters out there for people like you and me, there are the narrowband filters and the broadband filters. Broadband filters are more commonly used in astrophotography with monochromatic CCDs, or they are used in Luna or planetary observation to help bring out particular features. The broadband filters include the standard Red, Green, and Blue (amongst others, like the Moon filter). The name “broadband filter” comes from the fact that they allow in larger portions of the electromagnet spectrum (ie. only blue light or only red light) where as the narrowband only allow in more specific parts of the spectrum. Narrowband filters are more specialized and, for the most part, are useless for anything other than deep sky observation. The two that I personally use are the O-III filter and the Hydrogen-Alpha filter… but for two totally different purposes. The O-III filter is used for planetary nebula and supernova remnants due to the abundance of doubly ionised oxygen, hence the O for “Oxygen.” This type of filter is, however, not overly useful when photographing diffuse nebula, such as the beautiful Great Orion Nebula, due to the lack of strong oxygen lines. 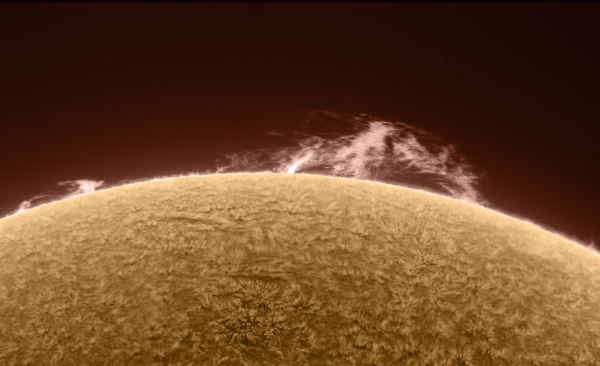 The other filter, and perhaps one of my favorites, is the Hydrogen-Alpha filter, which I use for observing the sun. There are two types of these filters on the market, just to complicate things a little more. One of these filters is used for deep sky observation and, like most filters, screws onto the eye piece or on the front of a CCD imager. The filter that I have is much more elaborate and goes in front of the telescope so as to block the amount of light actually entering the telescope…we are looking at the sun, remember! It’s not just their application that sets these two filters apart either, it’s their thickness and price. As you can imagine, a filter used at night, even a narrowband filter, isn’t needing to block out much light, so it is quite thin. A filter used to block out light coming from the sun to allow us to look at it, well, I would certainly hope it would be more substantial (I can assure you, if it wasn’t, I would most certainly be blind by now). 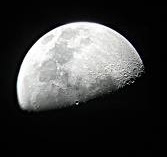 There are many different types of filters used in astronomy today, some are used for visual purposes, such as a Moon filter, which helps to bring out contrast on the moon, and the coloured filters can be really good for viewing the planets and seeing different details but very important for many CCD imagers as they are monochrome. 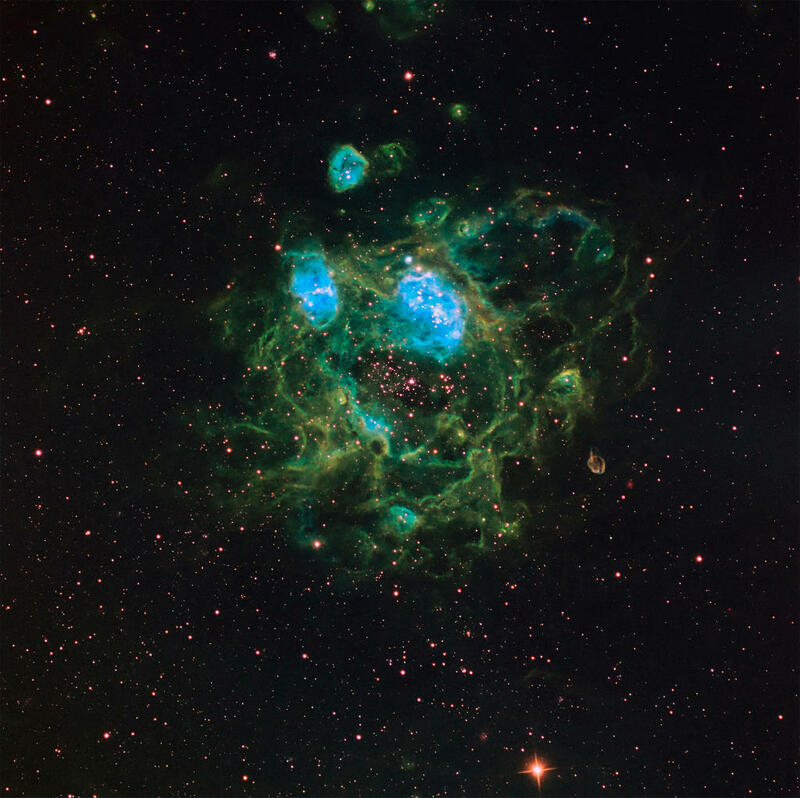 Nebula filters help block out unwanted light from street lights and sodium and mercury lines, while allowing the hydrogen-alpha and beta lines through, the O-III and S-II lines also, this can help bring out the contrast while observing or photographing nebulae. Making good quality filters is also a very difficult task, and it one that, even after decades of effort, is still being perfected and improved upon. Although they may look very unassuming when you look at them, the technology behind making some of those specialized narrowband filters would boggle your mind! If you are interested in mastering the art of astrophotography, here is our how-to guide — filled with everything you need to know!